While some “experts” in the industry may argue that Voice Search doesn’t affect the car business, at Dealer Authority we know that brushing the fastest growing search trend under a rug doesn’t make our clients sleep better at night. 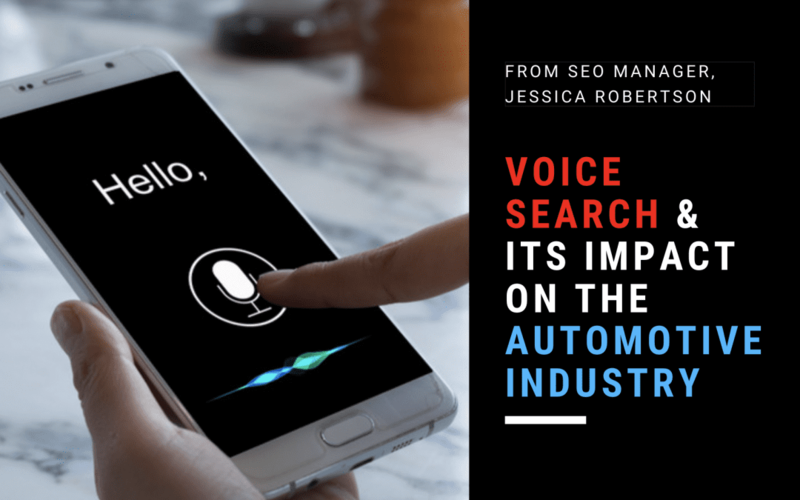 The automotive industry has always been a competitive place, but with the rapid adoption of voice search across the U.S. and the world, a whole new blade is emerging on the cutting edge of technology. For many late adopters to the principle of digital marketing for automotive in general, the rift between those who get it and those who are still relying on traditional TV and newspaper advertising is quickly forming a continental divide. Dealers who have yet to market themselves through SEO, PPC, and Social Media probably don’t even realize the competitive edge they are giving to their competitors who are actively engaged in this type of digital marketing. Optimizing for voice search is just one more weapon to wield in the battlefield of digital car sales, whether your competition knows it or not. How Are Consumers Using Voice Search and How Many? Just because people aren’t buying cars directly from Alexa yet doesn’t mean your dealership should be asleep behind the wheel when it’s go-time. Consumers use voice search on a number of different applications that help in the car shopping process. Whether they’re using it to gather information like “Where is the closest Toyota dealer near me?” or, “What engine sizes are available in the 2019 Camaro?”, people are asking questions and why shouldn’t your dealership be answering them? If you’re not going to answer these questions and draw in the attention of potential new customers, your competition surely will. With over 1 billion voice assistant devices operating in the world since 2018, you can rest assured that this trend isn’t going away. 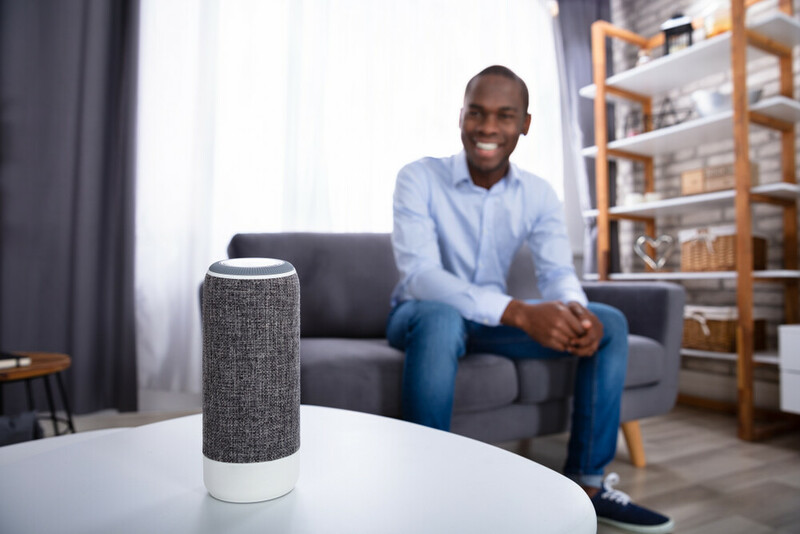 Voice assistant devices range from smartphones to desktop applications, but the true game changer came in the form of Smart Speakers like Amazon’s Echo which helped introduce consumers to the User Experience (UX) of using their voice to get their questions answered. When you take over 47.3 million adults in America relying on smart speakers alone, that’s over 20% of the adult American population that can be marketed to through voice search. Collectively, the number of queries made through all voice search assistants is estimated by ComScore to climb to 50% by 2020. In the world of marketing, that’s basically RIGHT NOW. Meaning that if you haven’t already implemented voice search into your strategy then you’re about to get left behind. Why Is Optimizing for Voice Search So Different? Well, the heading above says it all. When consumers use voice search they’re saying exactly what they’re thinking out loud as if they were talking to a person, not a search engine. They skip the step where they splice out stop words such as “the,” “and,” “at,” and so many others. The potential good news is that Google Webmaster Trends Analyst, John Mueller, has hinted at the possibility of voice search performance being tracked through Google Search Console in the future. This may help in the tracking of your voice search marketing efforts and could help you improve upon that strategy as well. Even though many consider Google to be the end all be all search engine, you may still want to check in with Bing every now and again to make sure you’re ranking well with them too. “Why?”, you ask. Because Siri will be spouting out the responses she finds on Bing, which for our clients, makes up the majority of our mobile traffic. Nearly 50% or more in some cases! Maintenance of your listings on local directories and Google MyBusiness is absolutely crucial as well. Keeping this information up to date helps with the ever-growing number of “near me” searches so that people can easily find your dealership for everything from car sales, to on lot financing and oil changes. Be sure to stay on top of your customer reviews as well. One unaddressed, bad review can change a lot of minds, but if customers see that you tried to make it right it can paint a whole other picture in their minds. Integrating voice search queries into your website is possible by a few different means, but the pivotal point is to anticipate what your consumers need to know ahead of time and having an answer for them readily available when they ask. Here are 3 different ways you can address these commonly asked queries. The key to voice search strategy is to blend it in with your other digital marketing efforts. If you have multiple landing pages already on your site that you use as a part of your geo-targeting SEO efforts, you can easily go back to those pages and update them with new, voice search-friendly content. You have to go back and update your landing pages anyway -or if you haven’t been doing that, you should- so now’s your chance to go back and optimize them in more than one way and increase the SEO value of that page. Does This All Sound a Little Overwhelming? Have no fear, Dealer Authority is here to help. Whether you want to start optimizing for voice search on your dealership website or need someone to just optimize your site for SEO, period, we have the team of specialists you need to get you caught up to speed. Don’t let your competitors fool you into thinking you can’t catch up to their digital marketing practices. With a wide variety of services including Social Media Management and PPC, you can get started with Dealer Authority today to boost your digital presence and start selling more cars now.